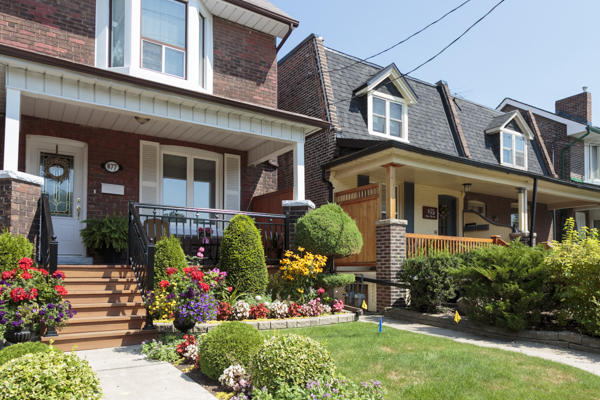 The last few years of red-hot real estate trading in Toronto has pushed many house hunters to reconsider their choice of neighbourhoods, as “affordable housing” (always a subjective term) became unattainable in some areas. The low supply and high demand has required increased flexibility from home buyers, often making east-enders out of previous diehard west-enders, and vice versa. In my fourteen years as a real estate professional, I’ve become familiar with many interesting pockets of our incredibly diverse city. 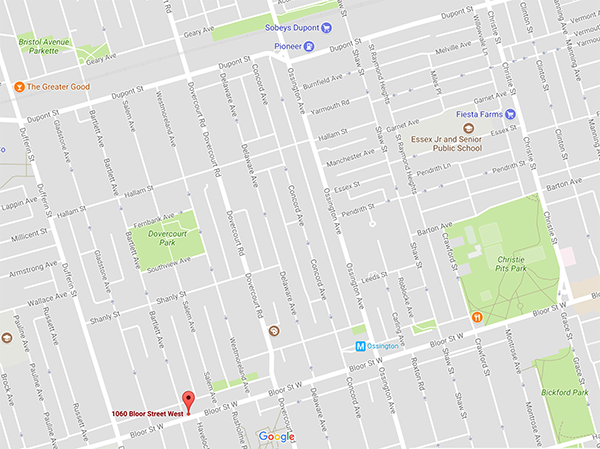 Clients frequently ask where I think there are still good investment opportunities, and in my opinion, Dovercourt is one of those areas. 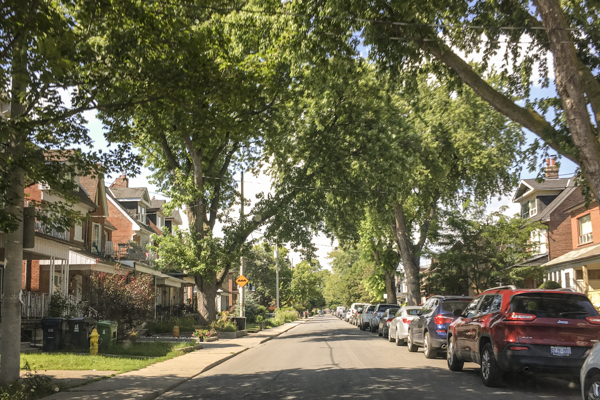 You’ll find a surprising amount of green space, easy TTC access, and street after street lined with beautiful mature trees. 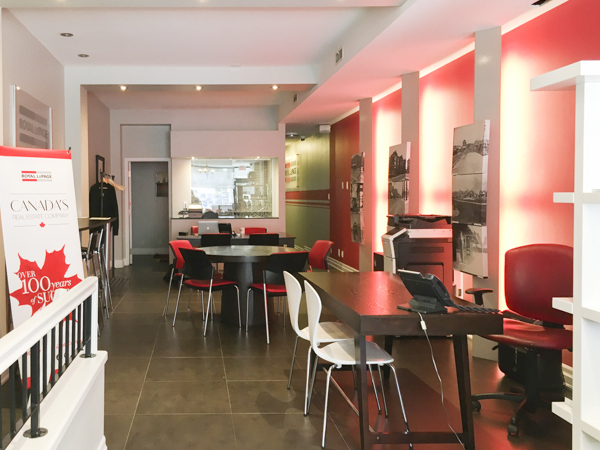 You will also find my brokerage, Royal LePage Supreme, located near the corner of Bloor and Dufferin! Royal LePage Supreme office at 1060 Bloor St W.
Perhaps the best-known landmark in the area is Christie Pits Park, the 22-acre former site of the Christie Sand Pits. Sand, gravel, and clay from the pits were used in the early construction of many of Toronto’s roads and public buildings, and the pit became a park when the sand supply ran out in 1909. Featuring three baseball diamonds, basketball courts, a soccer field, an outdoor pool and ice rink, picnic areas, and sloped sides that make for great tobogganing, it’s a year-round draw for Torontonians with easy access from the Christie subway station. 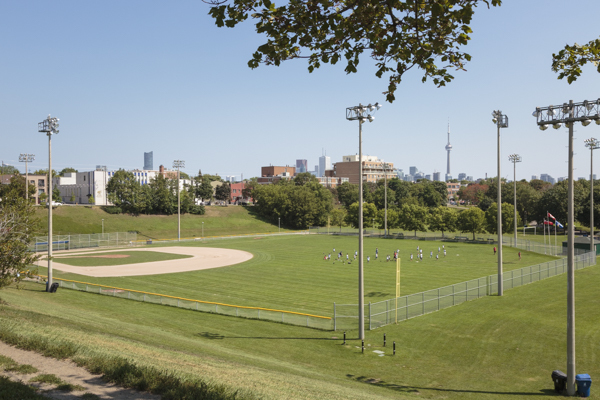 In addition to Christie Pits, there is another six-acre green space in the area called Dovercourt Park, located closer to Dufferin. 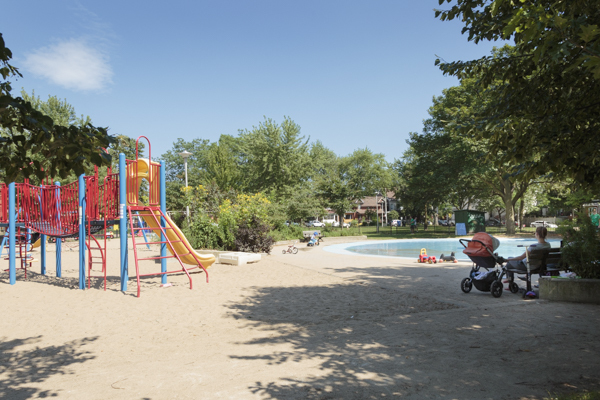 It too boasts a lit baseball diamond, tennis courts, wading pool, playgrounds, as well as the Dovercourt Boys & Girls Club. Dovercourt Village was originally settled by English immigrants in the 1870s, with most houses built as the population grew between 1900 and 1925. 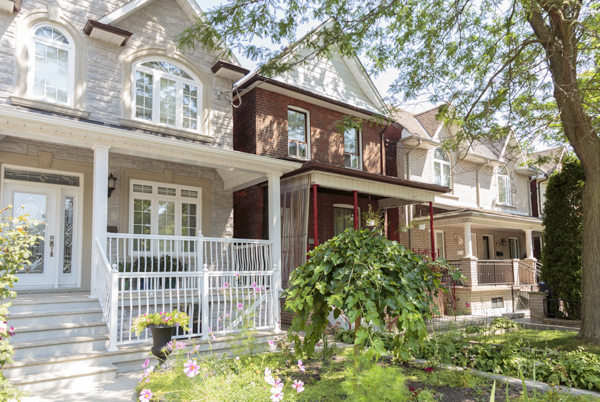 Today the area is home to a diverse mix of cultures, and offers a variety of detached, semi-detached, and row houses with generally narrow lots. It is common to find 2- and 3-storey homes with rental suites, which can provide an excellent opportunity for investment purposes or rental income. A pride of ownership is visible in the many meticulously-groomed gardens, and the canopy of trees makes for beautiful neighbourhood walks. 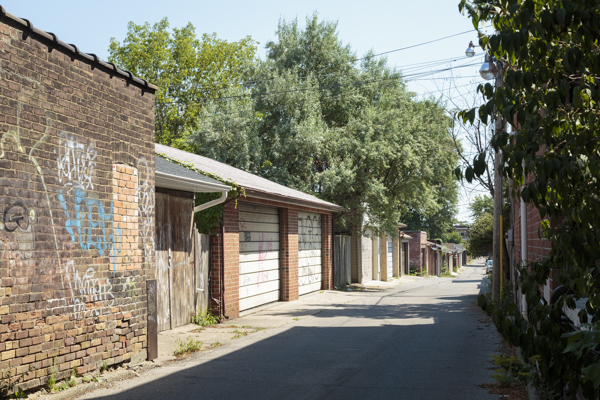 As you can see, there is street parking throughout Dovercourt, but many houses also have rear garages on laneways. This is a neighbourhood where laneway housing (converting garages to coach houses, or building suites above existing garages) could significantly change the landscape, if approved by city council. 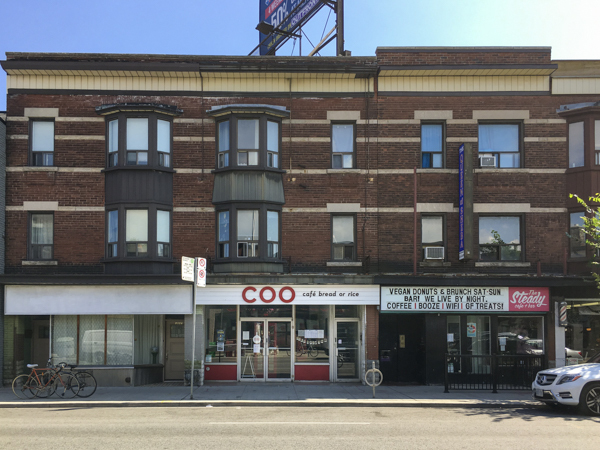 At the south end, Dovercourt borders a long stretch of Bloor Street West known as Bloorcourt Village. 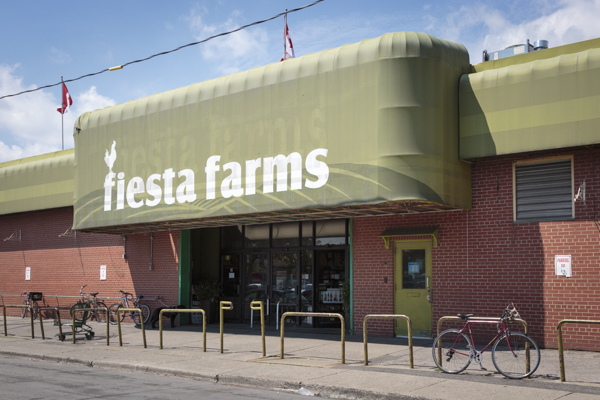 There are three TTC subway stops (Christie, Ossington, and Dufferin), an incredible variety of shops and restaurants, and occasional street festivals. I love a good cup of coffee, and have started frequenting The Common coffee shop, and another go-to eatery for me is the Japanese restaurant Coo. There really is something for everyone! Last but not least, there is an exceptionally beautiful Toronto Public Library branch at the corner of Bloor and Gladstone. Opened in 1913, it underwent renovations and expansions in 1976 and 2006-2009, becoming the first library with a green roof. 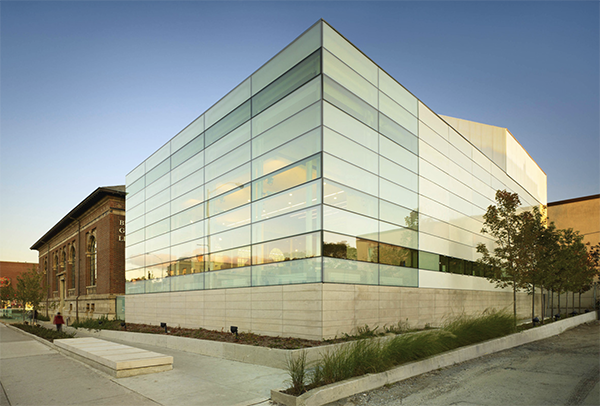 This branch offers an art exhibit space, quiet study rooms, a reading garden, equipment for people with physical disabilities, 40 computer stations, and numerous programs.